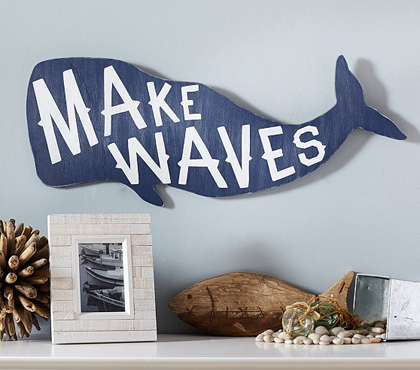 Add a splash of maritime magic with this cutout Whale Sentiment Art Plaque that inspires kids to dream big. $49 Sale $39.99. Buy here. 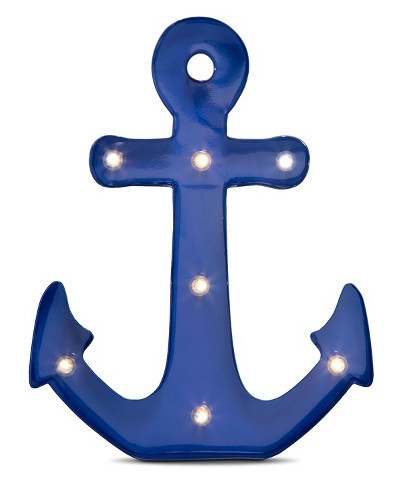 Brighten up a room or revitalize a nautical theme with this Threshold Anchor Marquee Light. Made of metal and painted a beautiful blue, this anchor-shaped wall art offers seven bulbs for unique, marquee-style lighting. $29.99. Free shipping. Buy here. 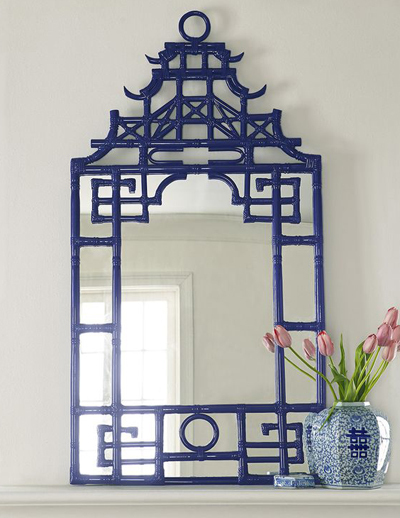 Reminiscent of traditional Chippendale design, this Navy Pagoda Mirror will bring a touch of Asian-inspired architecture to your home. $799 Sale $679.97. Buy here. 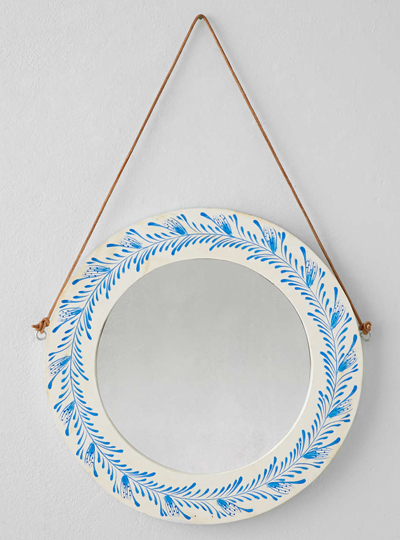 This Wooden Floral Painted Mirror is a rounded mirror inset in a romantic vintage-inspired paint wood frame. Ready for hanging. $79. Free shipping. Buy here. 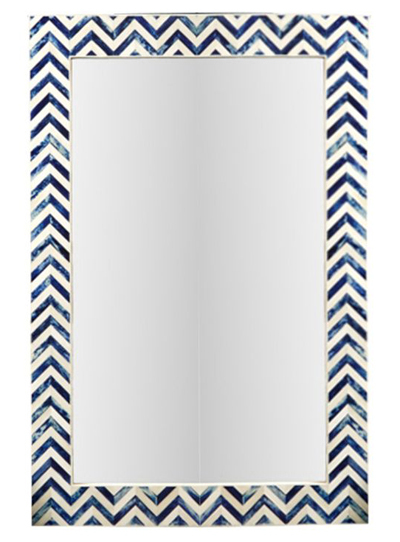 The contemporary chevron pattern is turned exotic when used to adorn this Indigo Bone Inlay Mirror. The white and indigo pop against each other to create a true showstopper for your entry, living area, or bath. $495. Buy here.